I recently attended a winemakers dinner comprised of women winemakers creating Pinot Noir. However, some of them were also making other varietals; including, Riesling. 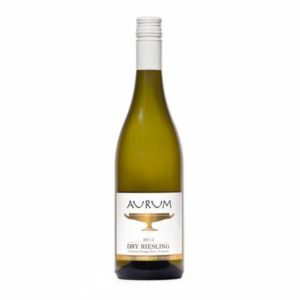 Aurum Riesling 2016 to be precise. Most people hear Riesling and think Austria or Germany; however, this wine is from New Zealand. I am a fan of Riesling but like most wines we all have our styles we prefer. I tend to be in favor of the dry…extremely dry styles and occasionally I might come across a semi-dry Riesling that sparks my interest. The wine is created by Joan Lawrence who lives and creates beautiful wines in New Zealand. I was impressed to find she was making a Riesling. Just like any region, people try to grow grapes that may not be popular or prosperous in those regions but you gotta try! And on top of it all she stops fermentation to allow a tad bit of residual sugar to create a not completely dry style. I will have to say hers is a success and it has sparked my interest to find more producers in New Zealand who are making Riesling. She is also a very super sweet individual and a pleasure to have had the opportunity to chat. The styles of Riesling vary. They could be “off dry” which is more sweet than a semi-dry or “half-dry”, completely dry, or eiswein which is a dessert and sweeter wine yet! Germany has specific classifications based on the amount of sugar reserved in the wine at the end of production. However, these regulations do not always resonate with the rest of the world. For more information on the different classifications: http://winefolly.com/review/understanding-german-riesling-by-the-label/ . Aurum Riesling took me by surprise. The nose was completely different from what I expected throughout the taste. However, I throughly enjoyed smelling the glass for a while looking out over the vineyards down the hillside and allowing my eyes to follow the rolling green hills of vineyards towards the pink, orange, and red sunset. Truly a magical experience. She claims this is a little sweet or a “hint of” to balance the acidity but I found it on the dry side. Perhaps, her technique created a very successful balance leading to the illusion of dry white wine. At this time, her wines are not available in the USA but she will ship and can be ordered on her website: https://aurumwines.co.nz This might be a wine I will order a case of!